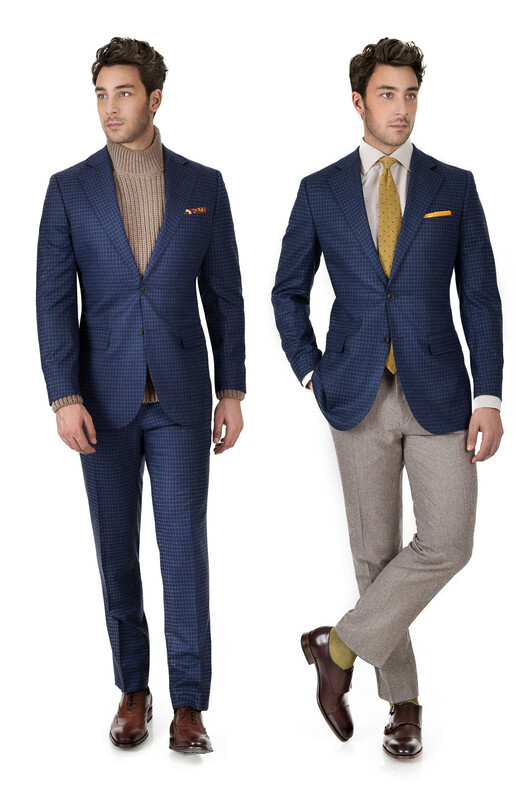 You shouldn't always default to the trusty solid grey & navy suits - autumn is the perfect season to add more colors & patterns to your wardrobe. 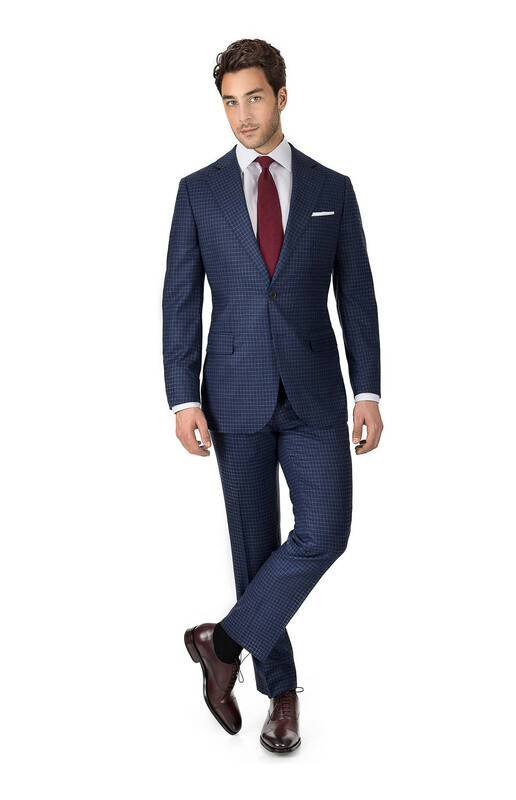 Not even a dozen different suits in different shade of solid navy and gray can prevent you from looking as if you are wearing the same 2 uniforms to work every day. Enter the small check pattern - interesting, but still office appropriate, it works well regardless of your height and is easy to work into your wardrobe. It can be dressed down for a casually cool look with a t-shirt or a knit, depending on the season. 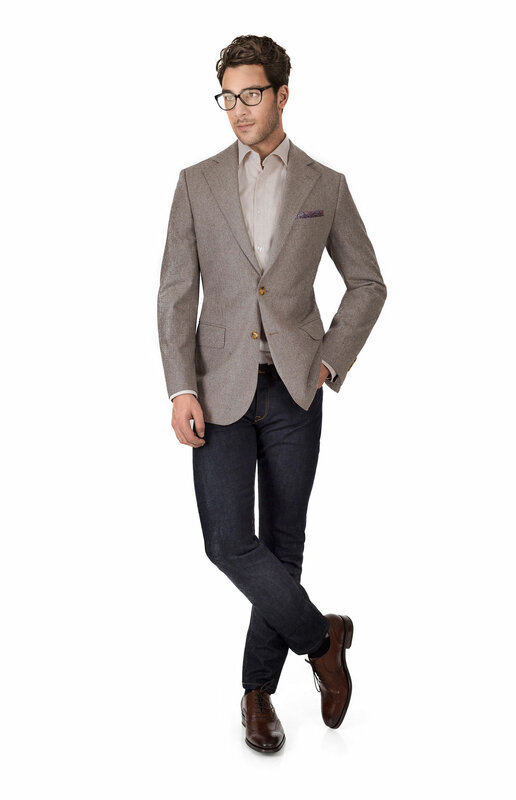 The jacket will quickly become your favorite blazer. Or you can dress it up for some serious business! Red, white and blue is probably one of your go-to color combinations anyway, so you can use the same shirts and ties as you would with your navy suit. Solid light blue shirts work well, too, if you are looking for a low-contrast look - but avoid gingham, stripes and checks for your shirt, as they will clash with the pattern of your suit. If you have 3 good suits in your rotation already and want to expand your style options, investing in a solid brown suit is the low hanging fruit. 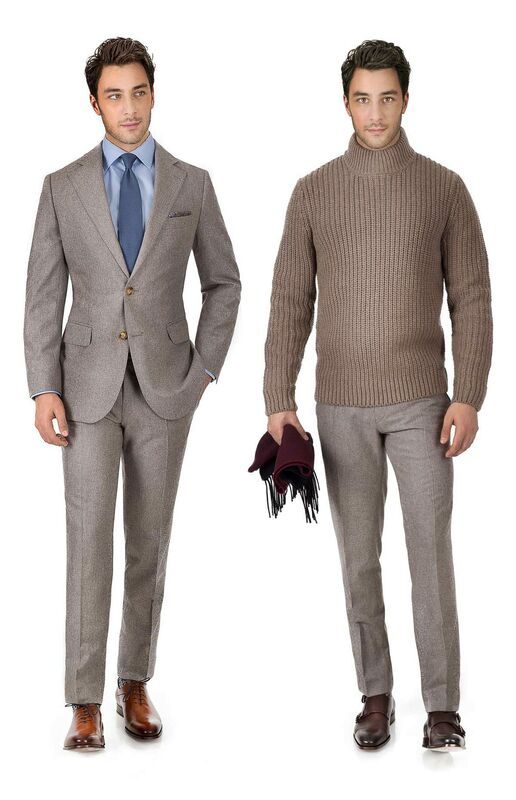 You can mix it with the stuff which you already have - light brown dress pants are a classic, both in summer (go for linen) and in winter (flannel is best) and you can wear them with polos, knits and your favorite navy jacket. And you will get a lot of mileage out of the brown jacket as a separate piece as well, paired with dark denim or dark chinos. Besides the soft flannels featured here, you can also consider the navy check suit and the brown pick & pick suit as all-seasonal alternatives for similar looks. The colors are a bit darker but you have the same options to mix & match the two suits in a casual or a formal manner depending on the occasion.